Ever since the emergence of the Hindu nationalist BJP on the national political scene, many strange things have been happening. Saffron clad Yogis, who are supposed to be spending time on meditation and spiritual contemplation have entered the legislatures and even managed to grab top posts. None other than the Prime Minister of the country, who is expected to promote scientific temper among the people, stated that in ancient India implant surgeries were performed and also cited an example from Hindu mythology stating that Lord Shiva implanted an elephant head on Ganesha’s body after beheading him. A BJP stalwart, Murli Manohar Joshi, who happens to be a professor of Physics, introduced Vedic astrology courses in some of the Indian universities in spite of stiff opposition from the progressive forces in the country. The latest in line is the Madhya Pradesh government, which, in order to save people from the ‘mediocre’ services provided by ‘uncertified astrologers’ has introduced a certificate course in the priesthood, and Vedic astrology. The people who will be graduating in these courses will be deployed to perform various rituals and give future predictions to the people who seek their services. We are all well aware of the fact that religions and Gods are a mere creation of humans. Our innate sense of insecurity, however, does not allow us to lead lives free of religion. As it has rightly been stated by Marx, ‘religion is the opium of the masses’ as it acts as an analgesic which reduces the pain of the poor and the downtrodden especially when they are in crisis. The capitalist profit mongers and their politician cronies know how to exploit these fears to their advantage. Therefore, religion and the associated anomalies are part of the instruments of the ruling elites to control the people and mould the public opinion. The ruling elites all over the world have been using religion to divert the attention of the people from the bread and butter issues. The BJP government, which is fully aware of the religion’s potential to hoodwink people, has deployed it to the fullest extent. When you deploy religion even the associated anomalies have to be somehow accommodated. When they introduce Vedic astrology in the universities the trained astrologers, palmists and soothsayers have to be employed somewhere. By introducing astrology courses and deploying certified astrologers, the government appears to be trying to implant a false sense of well-being among the distressed people by giving them rosy predictions about their future. This is the typical behavior of the corruption ridden, crony capitalism infested unresponsive governments. While the blissfully unaware poor people find solace in the soothsayer’s words, the governments can comfortably rule the state unconcerned about the problems of the common man, while protecting the interests of their industrialist cronies. The BJP’s ideological mentor, RSS hates two figures more than anyone else — one is Macaulay and the other is Nehru. They say, Macaulay, by introducing English medium education in India, had created elite liberals who are pathologically anti-Hindu. They also feel that Nehru, through his secularism, has created the minority problem which persists even today. They conveniently ignore the fact that if India has gained some reputation in the world, it is because of its IT and ITES industry. And the only reason for the development of this industry in India is its large English speaking graduates. If India has, to some extent, shed its caste prejudices and blind beliefs and turned progressive it is because of the architects of the modern India such as Nehru. There is a strong criticism against RSS that except peddling its Hindutva ideology, which does not appear to be a unifying force in an infinitely pluralistic Indian society, it does not have anything worthwhile to offer. Some social scientists even feel that they are intellectually bankrupt and does not have anything to offer for the societal advancement. They have only one perspective – a Hindu perspective and whoever they feel have done something against the perceived interests of Hindus are branded as anti-Hindu and opposed. And now the RSS wants to counter the anti-Hindu ideologies by propagating the supposedly great things that happened in the ancient India. 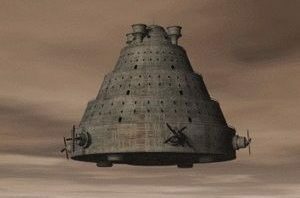 They, however, instead of propagating the truly great feats achieved by the ancient Indians, have started peddling mind numbingly ridiculous things such as the invention of 14-engined aircraft by ancient Indians that could travel between different planets. Perhaps they are not able to realize the fact that by peddling such pseudo-science they are destroying whatever little credibility they have. If someone asks the question, if Indians indeed made such inventions why Indian society is infested with blind beliefs and why it is bereft of any R&D culture, they again blame the foreigners, especially Muslims invaders, for all the maladies suffered by the Hindu society. What Indians need to realize is, at this juncture, India requires a pluralistic society that has a progressive outlook. Hinduism, no doubt, has many great qualities. It is, in fact, not a religion and as such is not infected with supremacist tendencies of Abrahamic religions. But it is also a fact that Hindu society, since ages, dehumanized Dalits and practiced a kind of apartheid. Moreover, the deeply caste-ridden Hinduism does not have the qualities of a binding force and therefore, is incapable of uniting all the Hindus. The Dalits and other repressed sections are not ready to forgive the insults meted out to them. Even the caste Hindus are not ready to shed their supremacist tendencies and embrace their Dalit counterparts. Therefore, all the efforts made by the Sangh Parivar to unite Hindus by peddling pseudo-science with an intention to glorify the so-called inventions made by ancient Indians will not fructify and instead will only discredit them further. This entry was posted in Uncategorized and tagged hindutva, pseudoscience on August 19, 2017 by Dr. Ramachandra Reddy. The cow is once again at the center stage of national discourse. Indians, from time immemorial, depended on land and cattle for their survival. In fact, their wealth was measured in terms of acres of land and the number of cattle they owned. Cows and bulls tilled and fertilized their lands, and yielded nourishing food for them in the form of milk. This is why cows and cattle have a special place in their hearts. I, being from a farming family, have observed the phenomenon at close quarters. My paternal grandfather, who was a pure lacto-vegetarian throughout his life, would treat his cattle very affectionately. He, after a pre-dawn wake-up, would clean his cattle sheds by removing dung and slush. He would leave his house with his herd of cattle before sunrise to rear them, while his sons would take care of the farming activities in his small landholding. The jingling of bells tied around the necks of his cows would herald his return in the evening to his frugal thatched hut engulfed by the power-deprived darkness. The sounds of cowbells and the snuffling and shuffling of his cows were all-pervasive in his backyard throughout the night. In spite of being a poor man, he had milk, curd and ghee in abundance in his kitchen. If any of his cattle would die, he would not even give away its skin. Instead, he would give it a proper burial in his land. But these days, farmers when their cattle grow old or when they are in dire financial need, sell them off to slaughter houses. Though the people who buy cattle for the purpose of slaughter are Muslims, those who sell are mostly Hindus. As far as consumption of beef is concerned, not only Muslims but even Dalits consume it. In fact, beef is not only affordable for the poor Dalits but has also been a part of their diet and identity for ages. Now the question arises as to whether the Hindutva organisations that are at the vanguard of cow protection campaign consider Dalits as Hindus, or just because they consume beef they want to alienate them further and force them out of the Hindu fold? Even the upper caste Hindus in States such as Kerala are known for their affinity for beef, though they are active in cow protection campaigns elsewhere. Animals, owing to their inferior cognition, are subjugated and exploited by humans right from the beginning. Some are domesticated for milk while some others are slaughtered for meat. There is no doubt that slaughtering animals for food, whether they are goats or cows, involves cruelty on the part of humans and that is the main reason behind many people advocating vegetarianism. In the words of singer and composer Paul McCartney, “If slaughterhouses had glass walls everyone would be vegetarian”. A goat does not undergo any lesser pain than a cow while it is consigned to a butcher’s knife. Therefore, advocating vegetarianism is good but it should not be done in the name of religion. Moreover, the poor Muslims and Dalits must not be forced to stop eating beef, which is a cheap source of protein for them, even while their caste Hindu counterparts are allowed to enjoy the expensive mutton cosily. It is a fact that non-vegetarianism is spreading rapidly in India and even those sections who have hitherto been vegetarians are slowly turning into non-vegetarians. 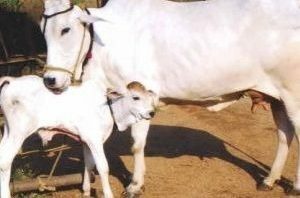 Even the lacto-vegetarianism that is widely prevalent in India has resulted in widespread exploitation of animals for their milk. So, the entire thing needs to be viewed from a different perspective rather than religious. These days, hardly a day goes by without a Hindu rightwing politician making an inflammatory comment on cow protection. Cases of cow vigilantes turning into lynch mobs, whose victims are invariably either Muslims or Dalits, are being reported from various parts of the country. The unofficial ban imposed by the new rules on cow slaughter will further aggravate the unemployment problem in the country. A large number of Muslims and Dalits, who are dependent on meat and leather industry for their livelihood, will be distressed and their economic condition will further deteriorate. It is a well-known fact that worsening unemployment is like a bomb ready to go off and has the potential to stoke unrest. The very fact that what is cooking in someone’s pot has become a national issue and is used to stigmatise and dehumanise certain sections of the population is very distressing. The cow slaughter issue — though has the potential to fetch rich electoral dividends to the ruling party — can cause irreparable damage to the social fabric of the country by solidifying the already existing social discord among various sections of society. Continued resistance and dissent are the only weapons people have to fight against a government that rules in an authoritarian manner with the help of its brute majority. Therefore, it is paramount on the part of the civil society groups and the intelligentsia to once again raise their voices against the potentially dangerous manoeuvres of the government to preempt any further damage. This article, authored by Dr. V.Ramachandra Reddy, was published in Telangana Today, a regional English daily in the state of Telangana, India on 29th June 2017. This entry was posted in Uncategorized and tagged cow slaughter, cow vigilantes on July 2, 2017 by Dr. Ramachandra Reddy. Future models of insurance distribution. This is an age of disruptive technologies. First it was internet and now Internet of Things (IoT), Big Data and Artificial Intelligence (AI) that are set to take the world by storm. People are getting increasingly tech savvy and started exploring digital space for their information and buying needs. Companies, whether they offer products or services, are banking less on traditional distribution channels and embracing digital technologies, and insurance distribution is no exception. Today’s tech savvy customers expect choice, convenience and transparency when they buy products and services online. They even want personalized advice on the kind of products and services that could cater to their exact requirements. In this rat race-laden materialistic world people are hard-pressed for time and they don’t even have the patience to meet an insurance advisor and get exposed to his sales pitch. Digital technologies enabled the business organizations, especially the social media sites and search engines, to track the behavior of the netizens, especially their tastes, preferences and habits. The digital footprint left by the users is an invaluable source of information for the insurance companies that want to distribute their products effectively. If all this data is analyzed properly through Big Data technologies, the resultant insights can empower the insurance companies to offer personalized insurance products and instantly generate quotes for the customers. And also, the Big Data-based predictive analytics help the insurance companies to optimize claims and detect frauds to increase their profits. An increasing number of people are discarding their desktops and even laptops and going mobile. The conventional practices such as text search are becoming obsolete and giving way to voice search and app-based technologies. People, while they are on the move, are opting for mobile apps to buy the products and services they need. Even the insurance companies jumped on the bandwagon and started offering their products through mobile apps. These mobile apps enable the insured to take pictures of their assets and create a catalogue that contains asset details and their worth. If any of the assets get damaged they can share the images of the damaged property and claim the insured amount. Once the IoT technologies are fully deployed, the gadgets and appliances people use in their day to day lives will get connected and start exchanging data. The information gathered from these devices could help the insurance companies in accurately assessing the risks involved and deciding the premiums. The IoT enabled automobiles and the wearable wellness devices track and transmit data with regard to the driving behavior and the health condition of the insured and the insights that could be derived from the data prove to be beneficial to both the insurer and the insured. The policyholders can get discounts for keeping in good health and implementing safe driving practices and even the insurers can minimize the risk. Conventional wisdom says that don’t put all your eggs in one basket. Excessive dependence on direct distribution not only involves a lot of expenditure but also may prove to be ineffective. Therefore, offering insurance products through multiple channels is advisable. The e-commerce companies, banks, travel agencies, hospitals, and even retail outlets can become effective modes of distributing insurance products. As far as insurance e-commerce is concerned the Insurance companies can build an online platform for insurance, where Insurers, brokers, agents and intermediaries such as corporate agents, web aggregators, and insurance marketing firms can sell the insurance products and can even attend to the policy service requests. Insurance e-commerce not only lowers the cost of running insurance business but also results in increased efficiencies and wider reach. Deployment of biometric technologies and the usage of single-factor authentication such as PAN (Permanent Account Number) card and unique identification cards such as AADHAAR could be used to minimize the risks of fraud. Social media platforms such as Facebook, twitter and LinkedIn are gaining prominence and wield considerable influence among their users. Most of the netizens are active on the social media and share their views and opinions on a wide-range of topics. They even seek opinion and share their feedback on the products and services they used or want to acquire. Therefore, insurance companies can effectively use social media to build their brands, execute marketing campaigns, build social communities and generate leads. Closely monitoring social media is very important to retain customer loyalty and pre-empt negative publicity from the disgruntled customers. As social media is continuously evolving and gaining maturity, it is also emerging as the most effective way to advertise and distribute insurance products. At a time when even state heads are carrying out a considerable part of their diplomacy and governance through twitter, the importance of social media in the distribution of insurance products can’t be underestimated. This model allows the like-minded people who know each other and seek similar coverages to form a pool. These pools not only impose less burden on the members but also bring about greater transparency in the claim settlements. Insurance companies can mine the social and digital data to identify the people who seek similar coverage and bring them under the umbrella of P2P insurance. An insurance start up, brings together communities of people who have similar, but niche, insurance needs. To conclude, insurance distribution is set to go hi-tech and is gearing itself up to provide customers with cost-effective and personalized products. And also, the emerging technologies such as IoT and Big Data will make the entire process of insurance distribution transparent and hassle-free. This entry was posted in Uncategorized on June 4, 2017 by Dr. Ramachandra Reddy. When I was a child I did not know much about death. All I knew was people, after death, stay motionless and after their near and dear ones have a glance at the body it is cremated. Now I’m 41 and is in good health. However, there are already many signs of age-related changes I perceive such as graying of hair and losing of teeth. Recently, while I was sifting through some of the old files, I happened to lay my hands on some of my old photographs taken at different stages of my life, which made many nostalgic memories swarm my mind. A juxtaposition of all those photographs triggered a recollection of my transit from boyhood to middle age.